In Vietnam outbreaks of cholera, dengue fever or hand, foot and mouth disease are not uncommon. Last year hand, foot and mouth epidemics killed hundreds of children. Yet there is another not so obvious killer in Vietnam: driving. Often called the “hidden epidemic,” it is an increasingly serious problem with deadly consequences. Traffic accidents are a serious problem here in Vietnam. Some 95 percent of registered vehicles are motorbikes or scooters.Vietnam’s rapid economic development over the past few decades has meant roads and traffic policing have not kept pace with the growing number of vehicles on the road. The nation has a very high traffic death toll rate, though just exactly how many traffic-related deaths there are is difficult to know as reliable data remains scarce. The Ministry of Public Security reported over 11,000 deaths in 2010; but the Ministry of Health registry – usually collected via the hospital system — lists 15,464 deaths. Yet these numbers may, in actuality, grossly understate the extent of the problem. Indeed,some sources believe that official data underestimates the number of traffic deaths by as many as 30%. 2. 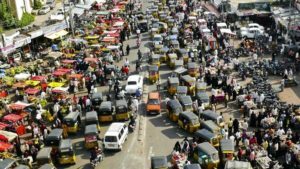 What likely be the health hazards of heavy traffic jams? Emergencies: blocked traffic may interfere with the passage of emergency vehicles traveling to their destinations where they are urgently needed.